As in other areas of life it is important to have good poker money management skills to get the most from your bankroll. Lots of poker players have talent but can often go broke due to a lack of planning and organisation with their bankroll. Of course there are a number of factors to consider in how you manage your bankroll and why each person may need to approach this differently, and we’ll look at this in more detail below. An obvious tip is that you only have money in your poker bankroll that you are able to afford to use and that it’s not needed for any other areas of your life. Therefore always keep your poker playing money completely separate from money needed for other priority areas. Secondly the amount of money you have in your bankroll is how you determine what stakes you should play for. Professional poker players intrinsically understand this and use good poker bankroll and money management skills to keep afloat in conjunction with their betting acumen. Personal circumstances may dictate if you just have one poker bankroll or whether you could start another one if you were to lose it. Some people may have to withdraw from the game completely until they build another poker bankroll if they go for broke, whilst others may have enough cash to immediately start another one. If you have only one poker bankroll and couldn’t afford to start another one then place your bets accordingly and remember that one element of the bankroll is to act as a buffer. In other words if you lose, which is inevitable even for professionals, then you will still be in the game if your bankroll is in fairly healthy shape. As well as your financial circumstances there are personality factors to assess as well. Financial experts profile people as different kind of risk takers regarding money matters, and if you don’t like the good and bad swings in the game you may prefer to play a safer game with more of a cushion in your bankroll. However other types of players like to have smaller amounts and play for higher stakes so it all depends on the individual. Poker players talk about comfort levels in managing your poker bankroll but your style of playing and format of the game will also be considerations in how you manage your money. For instance it is likely that those playing for tournaments will have a bigger bankroll, and a PLO cash player would have a bigger bankroll than a Hold ’em player. Therefore, undertake a bit of analysis about your own unique preferences when managing your poker bankroll and you will be able to make it work more effectively for you and you will play a better game without agonising about the consequences or taking the wrong kind of risks. Then there is that intangible luck factor to deal with, or variance as it’s called in the game. However talented you become you will still be subject to luck as are even the most professional players, and that’s another reason to ensure your poker money management skills are honed to ensure that you can take the rough times with the smooth. However, it can be tempting to be too cautious and play for ludicrously low stakes but that isn’t the answer either, as the objective is to at least be in with a chance of winning some good prizes. 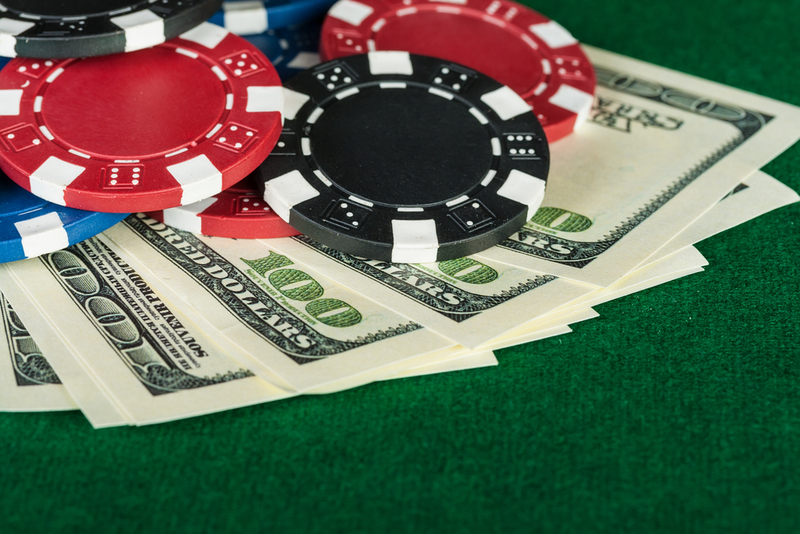 A rule of thumb is to have approximately 20 buy ins for cash games and 40 buy ins for Sit & Go Tournaments depending on how much money you have. So remember, if you can learn to be disciplined in the money management poker stakes you will learn to keep your bankroll in healthy shape, and ensure you always have some surplus for the element of luck and the losses that inevitably occur in the game!